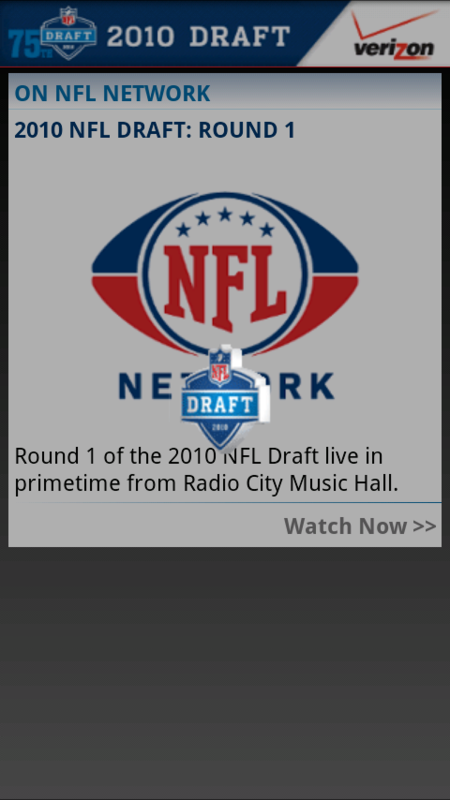 NFL Draft and NFL Mobile App Live Now! 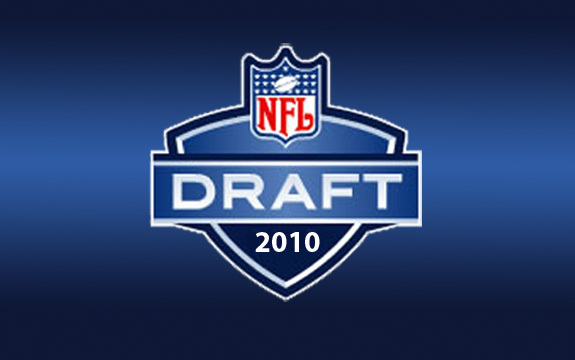 Don’t forget that the live coverage of the NFL Draft is available using the new and exclusive NFL Mobile app from Verizon. There have been Motorola Droid sightings all over the place. We’ve even seen one on air showing off this new app plus a ton of Droid commercials including the new 4 Corners piece. 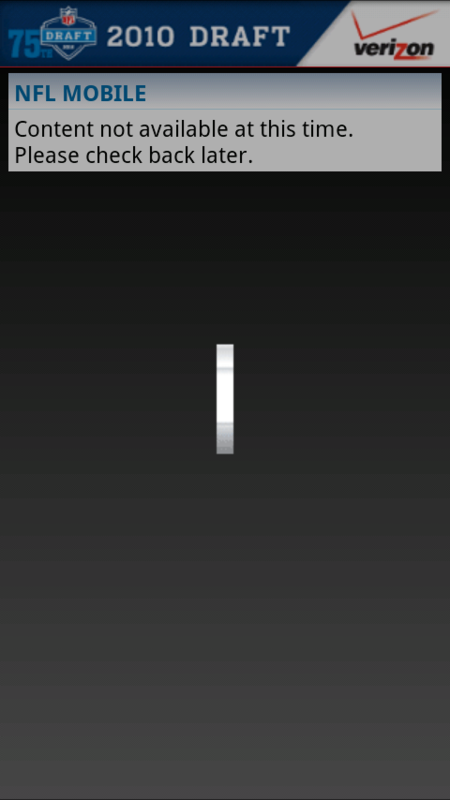 I do have to point out that this app is struggling mightily. It needed a refresh after a 2 minute opening load period, plus the live video appears to be down. Come on VZW! Thursday Poll: Android 2.2 or Flash 10.1? Mystery Motorola Device Coming on Father's Day?